Lovebirds who share an adventurous spirit will surely have the time of their lives in the Skylodge Adventure Suites, Peru. This unique room is perched on the side of a cliff, 1,200 feet above the ground. 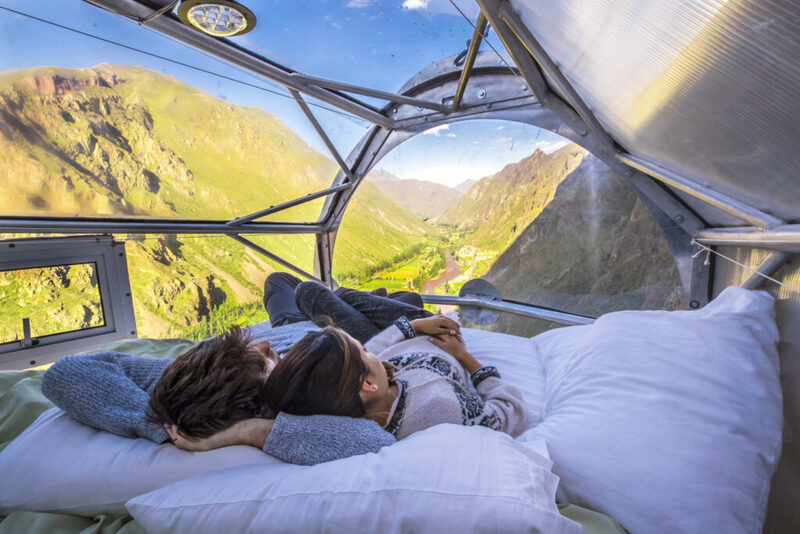 The pod contains glass windows which give its guests a view of the landscape that is also perfect for stargazing. To get to their suites, couples must go through a daring journey by hiking or riding a zip line. At night, they will be given a chance to feast in a sumptuous gourmet dinner in the comfort of their own room in the sky.